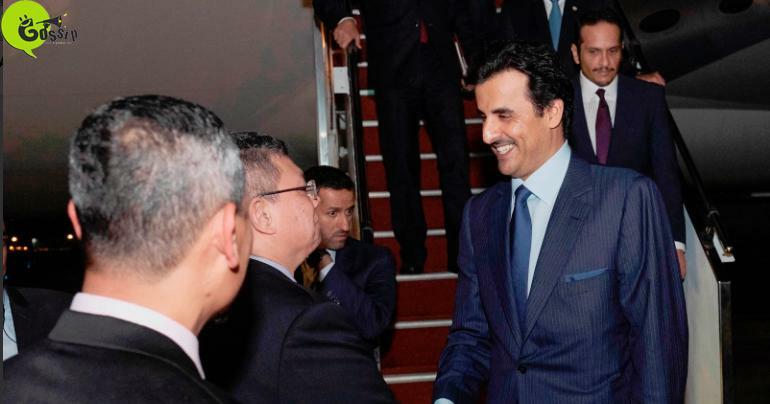 Qatar's Amir HH Sheikh Tamim bin Hamad al Thani arrives in Kuala Lumpur yesterday on a working visit to Malaysia. HH the Amir was invited upon arrival in the Kuala Lumpur International Airport by Minister of Foreign Affairs of Malaysia Saifuddin Abdullah. Qatar's Ambassador to Malaysia HE Fahad Mohammed Kafood and individuals from the Qatari government office.